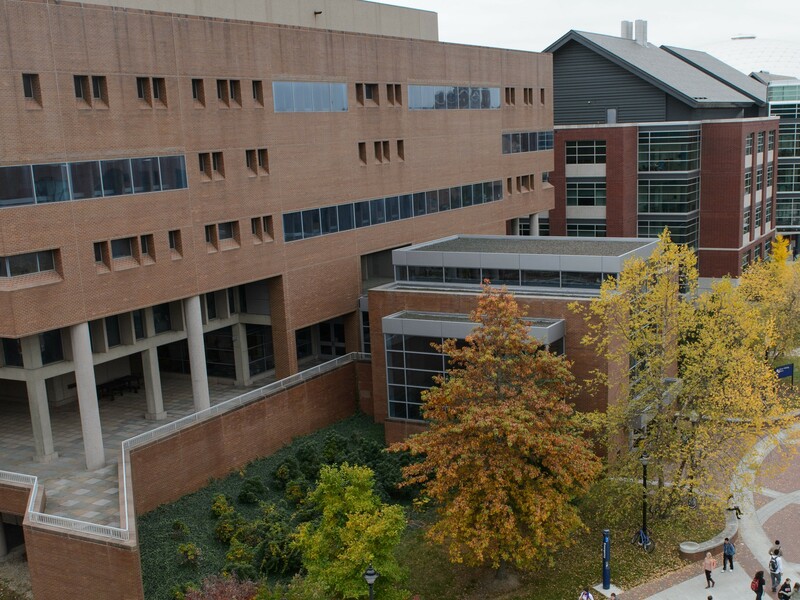 The Innovation Partnership Building (IPB) is a 113,700 GSF research building that houses state-of-the-art specialized equipment and instrumentation for nanofabrication, precision manufacturing, biomedical devices/sensor development, advanced modeling/simulation and material characterization. It is the first building to be constructed in the University of Connecticut’s Technology Park accessed via Discovery Drive. 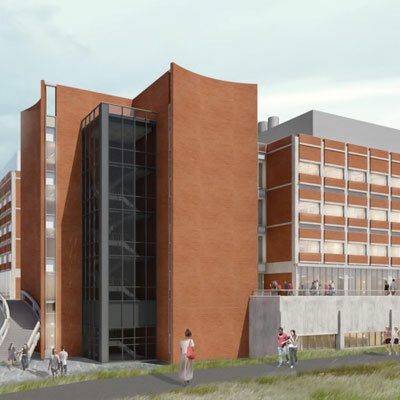 The main features of the design of the building include two “specialty labs or wings”, referred to as the Advanced Characterization Lab (ACL) and an Additive Manufacturing Innovation Center (AMIC). The building includes a main entrance with common areas and conference rooms and a “floating” core and shell (unfinished) lab bar. The ACL is planned to contain sensitive characterization and microscopy tools and has been designed so as to isolate the equipment from induced external vibrations and electromagnetic fields, both of which can negatively impact the operation of the equipment. Design of the building was completed on August 28, 2014 and construction began on June 16, 2015. 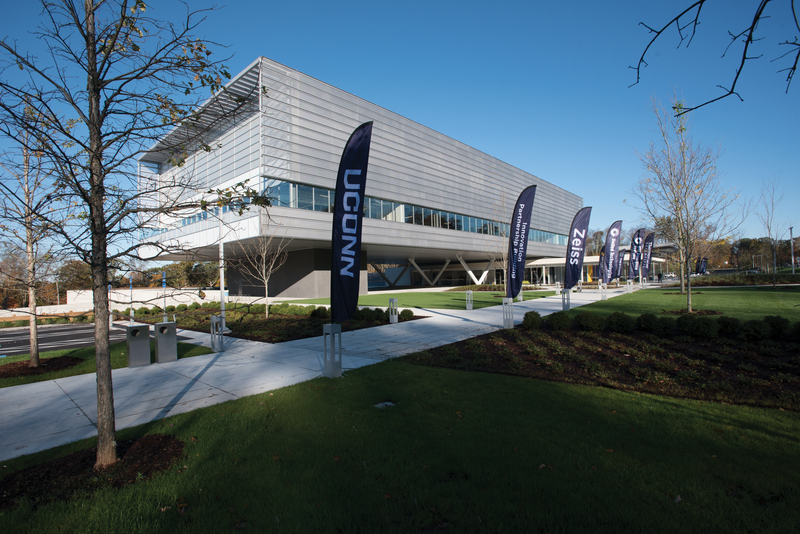 Completed in September 2018, the facility serves a nexus of intellectual, physical and cyber assets that is intended to foster University – Industry partnerships for research, innovation technology commercialization and job growth for the State of Connecticut. 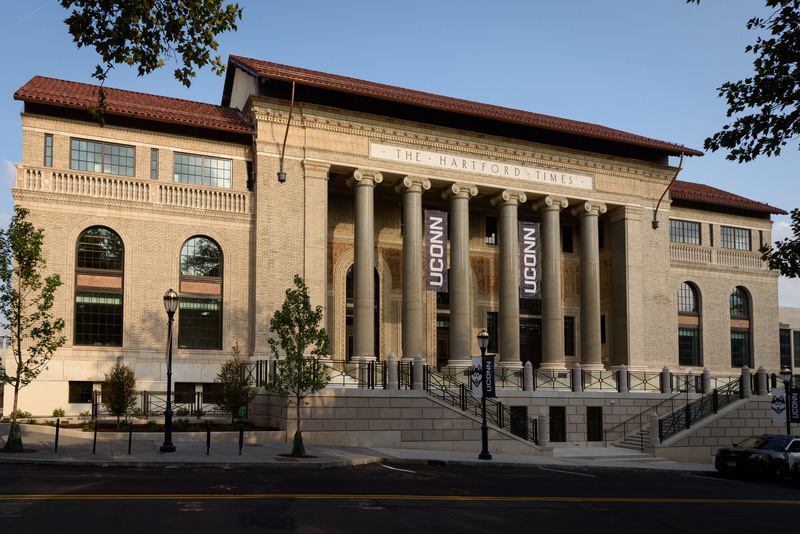 With the adoption of the 2015 UConn Master Plan by the Board of Trustees in 2015, the Homer Babbidge Library is in a unique position to create a 21st century library that reflects UConn’s academic vision and mission. In the spring of 2015, UConn proceeded to develop the Library Facilities Master Plan for Homer Babbidge Library. The goal is to create a framework for the Library’s transformation over the next ten years that will help transform the library into a Knowledge and Innovation Hub creating new environments for teaching, learning and research. A draft of the Master Plan will be shared with the campus in December. The library, centrally located in the heart of Storrs campus, was built in 1978 using traditional space and infrastructure standards utilizing an extended stack footprint. The proposed plan is assessing the needs for the various functions in the Library and bench-marking against efforts recently undertaken by other premier institutions as information was available and relevant. Today’s students are looking for spaces dedicated to twenty-four hour study, project and group study, technology enhanced instruction and social spaces. By creating an off-site preservation facility, relocating collections, consolidating print collection and increasing storage efficiency by adding compact shelving, the available space in the library will increase by 50%. The proposed recommendations included in the Master Plan assess the needs for the various functions in the library. Various current and future functions in the library have been grouped around floor themes with the goal of co-locating complementary functions and partnerships. This project includes a 30,000 square foot addition to the existing Drama/Music/Nafe Katter Theater to serve as a centralized shops and theater production facility. 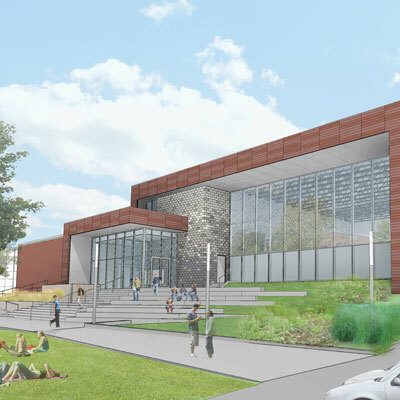 The addition will also provide a critical linkage between Fine Arts buildings that currently do not exist, accessible access to the second floor of the Drama/Music Building and a new entry lobby on the north side of the complex. The project also includes removal and replacement of the exterior glazing systems on the Storrs Road and Bolton Road sides of the building. Construction began in June 2018 and has a target completion date in January 2020.